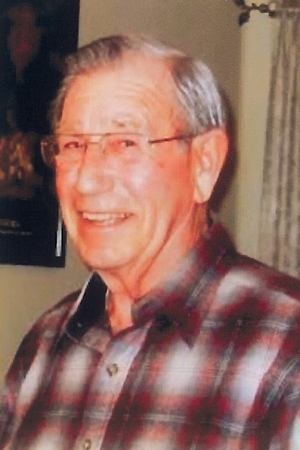 Obituary – Hamm, Walter Nolan « Perry High School Alumni Association, Inc.
Walter “Walt” Nolan Hamm passed away on June 18, 2016 after a long and courageous battle with cancer. He was born and raised in Oklahoma. He lived with his parents on several oil leases and he created his own entertainment, as the leases were remote and far from civilization. With his older brothers gone, he adopted and raised a pet hawk, rabbits and bees. He attended Perry, Oklahoma High School and was on the wrestling team and was student body treasurer in his junior year. 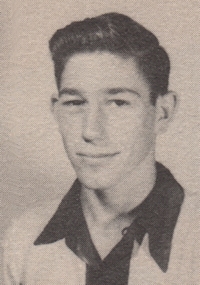 He graduated May 26th, 1951. Walter joined the Oklahoma National Guard 45th Div. 179 Inf. while in high school. He was discharged in 1951. He attended the University of New Mexico at Albuquerque. He joined the US Navy in March 1953 and retired from Naval service, July 1, 1978 as a Chief Warrant Officer 4. His total service time 28 1/2 years spent in engineering on surface ships and nuclear submarines during the cold war. Walt was on board the U.S.S. Platte that was sent to help the U.S.S. Pueblo, in the 1968, when she was taken by the North Koreans. Walt had a very distinguished career. He was one of four officers who performed the deep depth dives aboard the DSRV that was designed to help save men trapped on distressed submarines that could not resurface. Walt was preceded in death by his mother Bernice and father Alfred, three brothers, Malcolm, Clyde and Jimmy and one son, Steven. Walt and Shirley were married September 20, 1969. They were married 46 precious and wonderful years. Walt is survived by his loving wife Shirley, son Lance Stallings, son Michael Hamm, daughter Kim Stallings, son Bradley Stallings and daughter Stephony Hamm. grandchildren, Don and Kelly Holladay, grandsons Max and Cooper Hamm, Ashley, Tyler and Michael Hamm and Daniel Stallings and granddaughter Katie Stallings. great grandchildren Max and Amelia Holladay and Michael and Westland Hamm. Funeral services were held at 12:00 pm, June 27, 2016 at the Bowman Funeral Parlor in Garden City, Idaho, followed by committal at the Idaho State Veterans Cemetery in Boise, Idaho.